The Portland Water Bureau (PWB) boasts the, “best drinking water in the world,” although such a claim is hard to verify. The PWB serves approximately 600,000 people directly and provides wholesale water services to entities that serve an additional 370,000 residents. Portland’s current retail service area is approximately 143.3 square miles. The city provides over 104,000 acre-ft of treated water every year. Overall, The Portland Water Bureau stresses the importance of sustainability and was recently awarded to LEED Gold medals for their facilities constructed in 2015. PWB has also been the topic of some concern. In recent years, some residents have raised concerns about lead in the drinking water caused primarily from aging infrastructure and lead fixtures. Portland has also been in a decade long debate over treating surface water consistent with EPA recommendations. The OHA Public Health Division, has the power to enforce the EPA recommendation or provide a variance which it gave PWB for Bull Run Watershed. However, the debate is ongoing and in 2017 PWB had to switch to their alternative water supply over cryptosporidium concerns. Like many other utilities PWB is facing the significant challenge of addressing aging infrastructure, with over 800 miles of sewer pipe older than built before 1950. To help address this issue, Portland has strongly focused on green infrastructure in the form of green streets, urban streams, ecoroofs, trees, and other green infrastructure to manage stormwater. Portland suggests that this green infrastructure also brings nature into the city, improves mental and physical health, increases property value, conserves energy, enhances wildlife habitat and savse money on more costly pipe infrastructure. The majority of Portland’s fresh water supply comes from surface water in the Bull Run Watershed, although some supply is pumped from the Troutdale and Blue Lake Aquifers underneath the city. Portland has a number of wastewater treatment and reclamation plants, the largest of which is the Columbia Boulevard Wastewater Treatment Plant. The city of Portland also has a robust bio-solids fertilizer program which uses anaerobic digesters to create energy during the treatment process. Looking at these and other practices, it can be said that PWB has conducted significantly work to adopt a One Water approach to water management in the city. 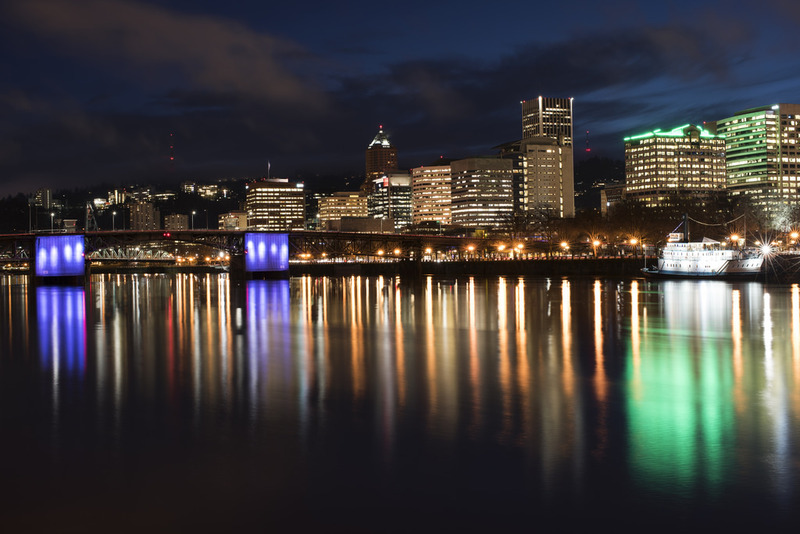 Portland has begun to promote on-site water reuse systems, but their adoption has been minimal so far. After an extreme flooding event in 2015 the city of Portland was awarded a flood response planning grant. Through this grant, city leaders have developed a more comprehensive plan for dealing with large rain events. Additionally, in recent years the city has expanded a number of drainage systems and continued to pursue green infrastructure as a solution. Portland’s primary water source comes form the Bull Run Watershed located in the Sandy River Basin at the base of Mount Hood. The Bull Run River is diverted to two large reservoirs with a storage capacity of 52,000 acre-ft. The water is then gravity fed to the city’s main storage reservoir at Powell Butte. The Bull Run watershed has been managed under increasing levels of protection since it was established as a Forest Reserve in 1892. No unauthorized public entry is allowed inside the area and all land management activities limited to only those that protect water quality and operate the water supply and hydroelectric power facilities. The majority of lands within the area are federally owned (96%) and the rest are owned by the City of Portland. PWB operates a well field with the capacity to produce 100 million gallons per day of high quality drinking water. These wells are located in Columbia South Shore Well Field (CSSWF) and pump water from the Troutdale Aquifers. Groundwater is used as a secondary source for customers served by the Bull Run supply, provides supplemental supply during times of high demand, and can be used as a safety backup if Bull Run water is contaminated.